Lori Brooks Has several years experiance in this market. 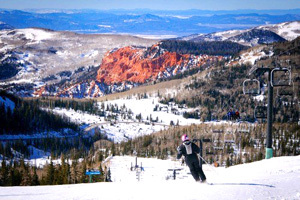 If you are looking for a Brian Head Cabin, Brian Head Home, Brian Head Condo or Brian Head Land call or email me. 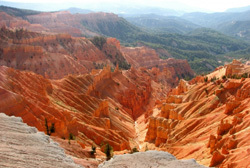 Cedar Breaks National Monument is a condensed version of Bryce Canyon, featuring one wonderful large amphitheater of eroded rock forms along the edge of the Markagunt Plateau. 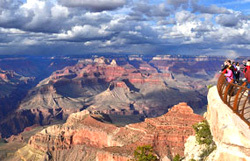 A short scenic drive along the rim takes you to good lookouts. There are also a few short hikes along the rim looking over the amphitheater. For more information go to www.nps.gov/cebr/index.htm. Follow the paths where ancient native people and pioneers walked. 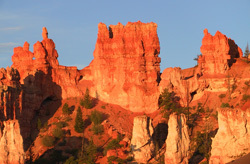 Gaze up at massive sandstone cliffs of cream, pink, and red that soar into a brilliant blue sky. Challenge your courage in a narrow slot canyon. 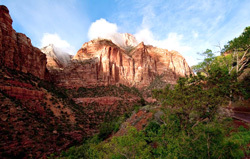 Zion's unique array of plants and animals will enchant you as you absorb the rich history of the past and enjoy the excitement of present day adventures. For more information go to www.nps.gov/zion/index.htm.